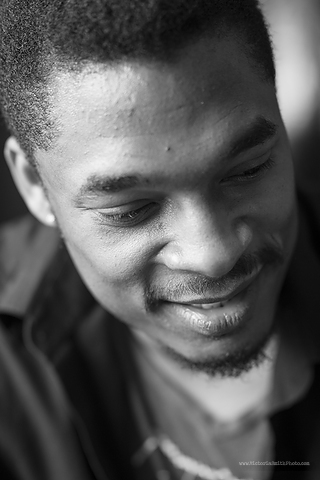 Terrance Hayes (terrancehayes.com) was born in South Carolina in 1971. His most recent book is How to Be Drawn (Penguin 2015) . Lighthead, his fourth poetry collection, won the 2010 National Book Award. His third collection, Wind in a Box (Penguin 2006) , was named one of the best 100 books of 2006 by Publishers Weekly. His other books of poetry are Muscular Music (1999) , which won the Kate Tufts Discovery Award, and Hip Logic (2002) , which won the National Poetry Series Open Competition. His honors include a Pushcart Prize, seven Best American Poetry selections, a Whiting Writers Award, a National Endowment for the Arts Fellowship, a Guggenheim Fellowship and a 2014 MacArthur Fellowship. He is a professor at the University of Pittsburgh.